Anyone install a Duraflex BT-1 or similar style front bumper cover on their 2nd gen? I notice they advise a professional installer. Is it because they are such a bad fit that they require special skills or can a reasonably mechanically inclined person do a good job? I've never seen one until now. It's a little 2 fast 2 furious for me. Anywho, it looks like there's really no means to mount it included with the bumper, so there's that. If it's anything like their other kits that I've seen installed on JDM stuff most end up using self tapers or rivnuts to fasten it. I'd imagine this one is similar and it just mounts to/over the 94-97 center crash beam/bumper. Just happened to see this one on FBMP, there are several different models out there some more F&F than others. Unless it's a bolt-on I'm not interested. I have a hard time trusting a company that only has badly photoshopped photos of their products on cars. It would probably take quite a bit of labor and skill to get that to go on and look "factory". and as Mo said crappy photoshopped pics at that. 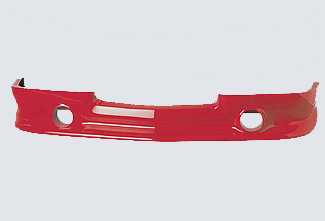 Have you thought about just updating to the 98+ bumper and valance? Other than that I don't know if any of it is still available but the Street Scene stuff like Kev posted is pretty decent imo. The 95 Sonoma I bought for my LS swap is in pretty good condition just a few dings but there is some cracks in the side molding. I had thought about removing it before repainting but don't recall seeing one with all the side molding removed. Any pics? It will look like any other S10 that doesn't have the molding. Well, that was my point I don't recall seeing any without molding. Then again I never paid much attention to 2 nd gens until now. I took off one of the rear panels that was cracked and the body contours are similar to the molding. All the side molding in coming off, of course, there will be some holes to fill. Don't know about the front yet but definitely a roll-pan for the rear. Any pros / cons whether the roll pan is fiberglass or metal? The early 94-97's that had a bumper had these funky wings on the bed. They were bolted on. Any other molding is tapped on and can be removed with a heat gun and a little patience. I prefer the factory "bumper delete panel"...aka roll pan. Looks good got a straight on pic? I prefer the factory "bumper delete panel"...aka roll pan. You're gonna make ask aren't you? Is there a difference? lol...that's the factory jargon for a roll pan...no difference. The GM roll pan is steel. Does the 98+ S10 fit a 95 Sonoma? Not without a core support, grill & headlight change. I found a video online showing the swap but it was S10 to S10 not S10 to Sonoma and it list all components needed. It is an improvement IMO and looks quite nice, something to keep in mind for the future before painting time. Steel will last better than fiberglass. I got mine from a Ebay vendor for under $100 and it came with the flip down plate holder over the hidden hitch hole, and light for the plate. Thanks I'll check it out . Im getting ready to do a hitch behind the plate. goes2fast has a bunch of pics in his build thread. 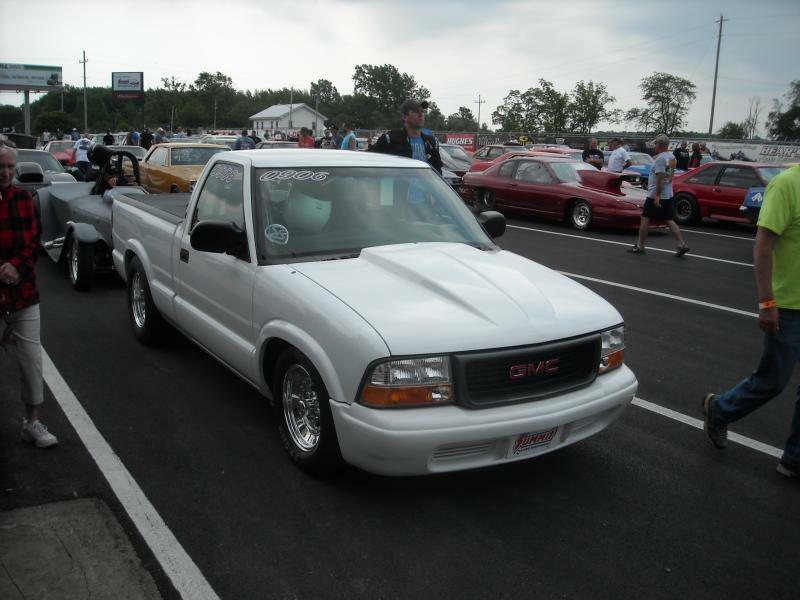 Or the non-elusive Bravada bumper cover with factory fogs and the ability to be used with the S10 grill if desired?